A large lettered keyboard that enables you to type in Arabic and is helpful to a lot many people ranging from beginners to professionals in Arab. It consists of a lot of features that helps you to enhance your skill in Arabic language. The Arabic Keyboard consists of all combinations of Arabic letters that helps you to type out letters, documents, emails and messages. 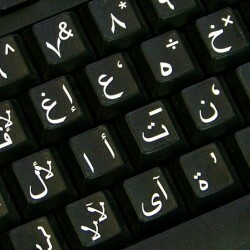 The voice typing feature lets you record and displays your message in Arabic helping you to save time. All you need to do is, just change your input language in “Settings” to Arabic and you are all set.